It's a Toyota on pole at the 2018 24 Hours of Le Mans, which isn't particularly surprising. The No.8 Toyota, with drivers Kazuki Nakajima, Sebastien Buemi and Fernando Alonso will start from pole position on race day. 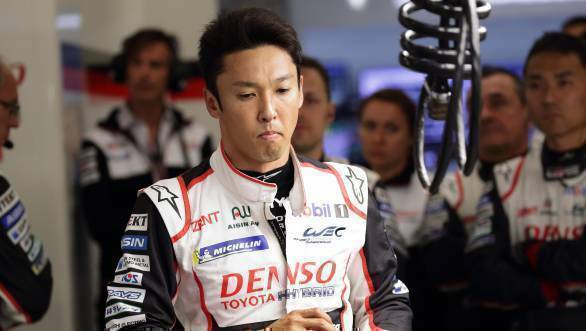 It was Kazuki Nakajima who put in a terrific lap time of 3min 15.377sec (less than six-tenths off Kamui Kobayashi's record Le Mans lap set in 2017 qualifying) to put the car on pole. This makes it Toyota's fourth pole at Le Mans, the first for Nakajima and team-mates Buemi and Alonso. The second-fastest car was also a Toyota, with the No.7 machine of Mike Conway, Kobayashi and Jose Maria Lopez setting a time of 3min 17.377sec. 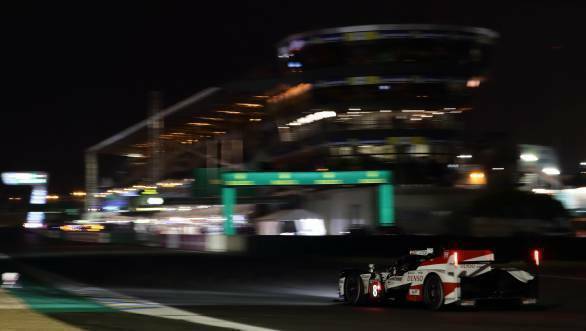 Behind them, but four seconds shy of the leading Toyota, is the first non-hybrid LMP1 car - the Rebellion Racing machine with Andre Lotterer, Neel Jani and Bruno Senna (3m 19.449s). Starting fourth on the grid is the SMP Racing car with Stephan Sarrazin having set a time of 3min 19.483sec. P5 went to the second Rebellion Racing machine with Thomas Laurent, Mathias Beche and Gustavo Menezes behind the wheel. DragonSpeed's No.10 machine took sixth place, with drivers Henrik Hedman, Ben Hanley and Renger Van Der Zande. While the second SMP Racing machine with Vitaly Petrov, Mikhail Aleshin and Jenson Button driving for the team. The eighth car in the LMP1 class, is the ByKolles Enso CLM. The first of the LMP2 machines set the 10th fastest time, courtesy the No.48 Idec Sport Oreca piloted by Paul Lafargue, Paul Loup Chatin, and Memo Rojas. The fastest GTE Am car was the Porsche 911 RSR, the No.31 machine to be precise, piloted by Gianmaria Bruni, Fred Makowiecki, and Richard Lietz. The fastest GTE Pro car was the No. 88 Dempsey-Proton Racing Porsche 911 RSR with Khaled Al Qubaisi, Matteo Cairoli and Giorgio Roda.